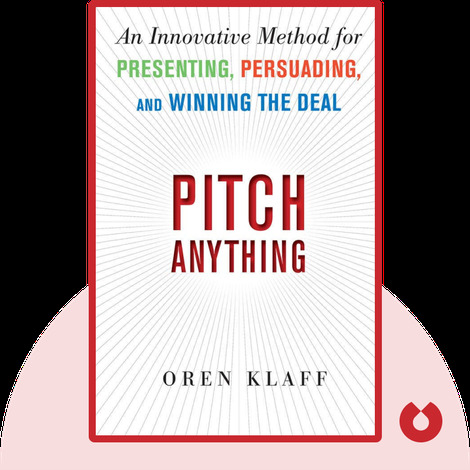 Pitch Anything (2011) introduces a unique, new method for pitching ideas. 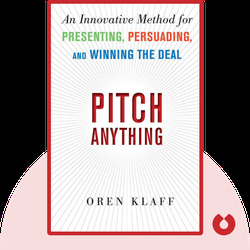 Through psychology, neuroscience and personal anecdotes, Klaff explains the tactics and techniques needed to successfully pitch anything to anyone. Oren Klaff is an investment banker who has raised over $400 million of capital over the past 13 years, and continues to do so at a rate of two million dollars a year. He has accomplished this with his unique pitching method, which he developed over years of trial and error after he tired of the usual weak sales techniques that did not produce results and seemed more like begging.